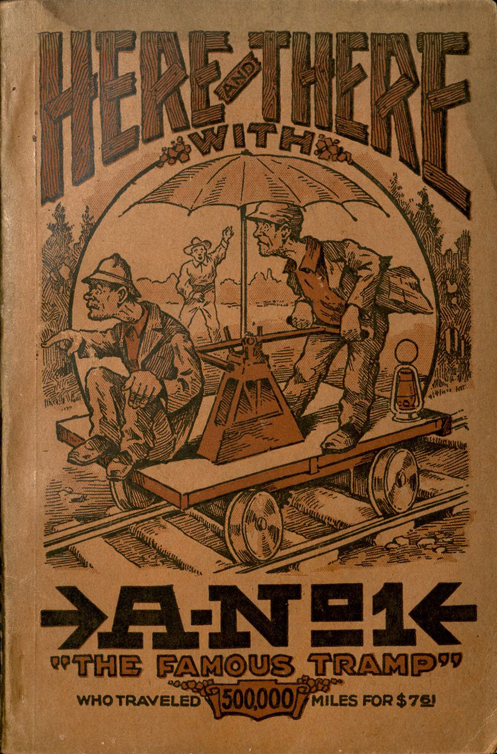 In the mid- to late-19th century, with the advent of steam-powered manufacturing and the industrial revolution in the United States, more and more Americans had increasing amounts of leisure time. 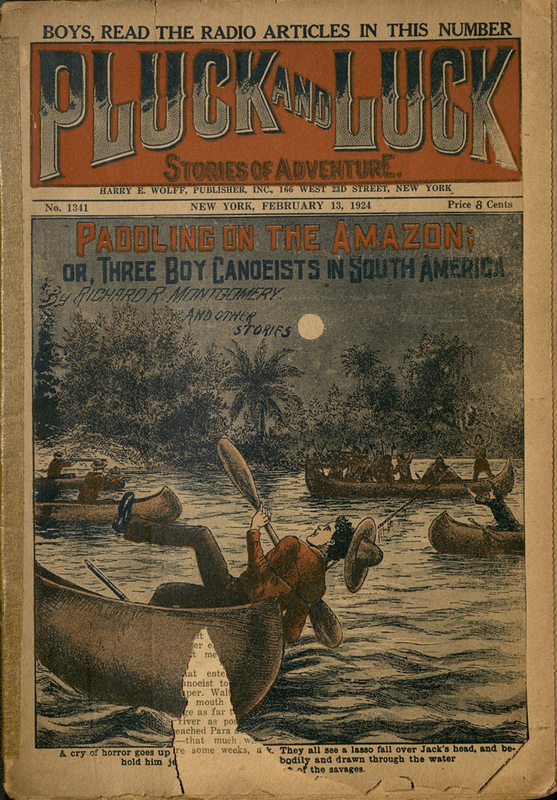 With no television or radio entertainment yet available and limited access to public libraries, more Americans were reading for leisure than ever before, causing an increased demand for reading materials. 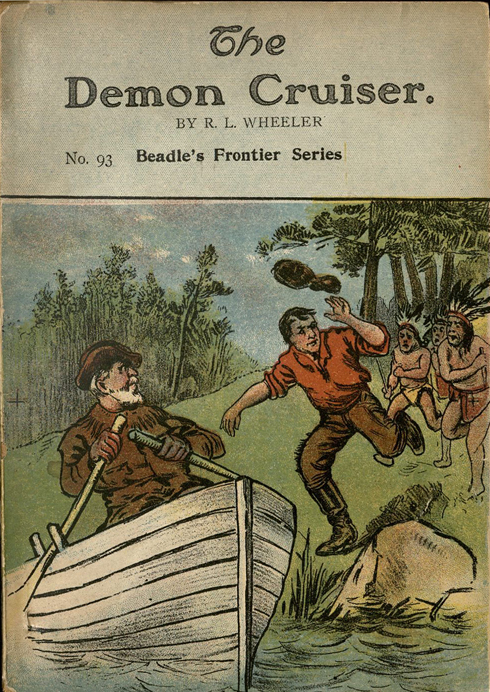 In 1860 Eratus and Irwin Beadle published "Beadle's Dime Novels," the first series of its kind so called because each book cost just $0.10 to buy. 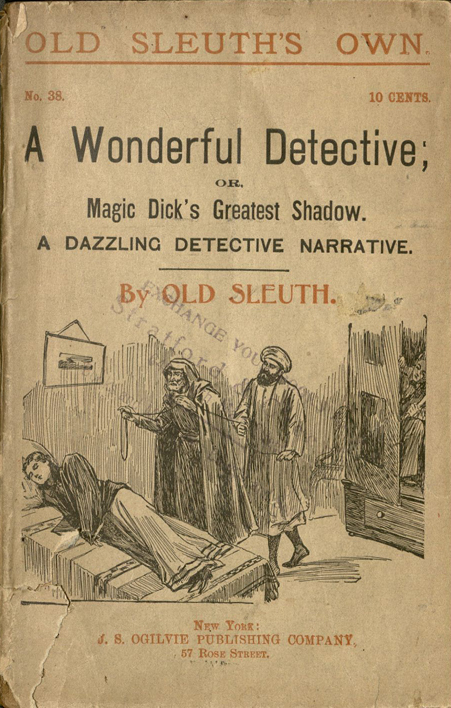 While the quality of the stories was often derided by critics of the day, the books were immensely popular, especially with young working-class people. 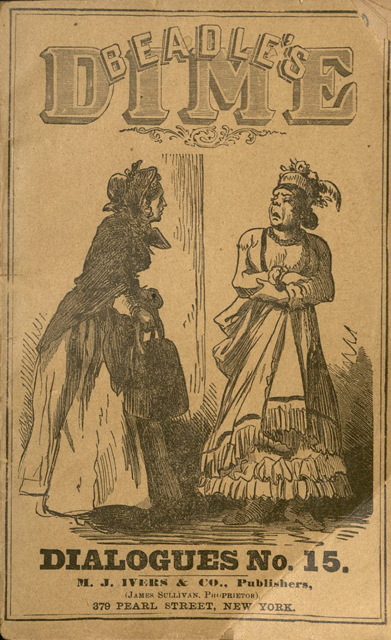 Between 1870 and 1900, the popularity of Dime Novels soared, and the illiteracy rate in the United States was cut in half, perhaps in part as a result. 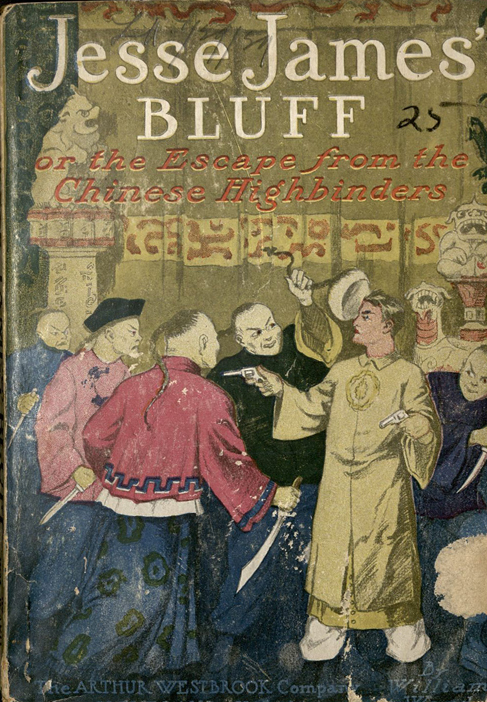 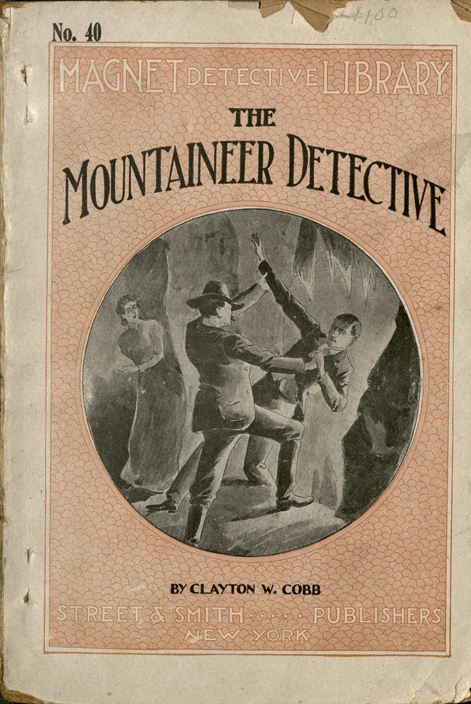 Publication of the novels continued well into the 20th century, ending in the 1920s. 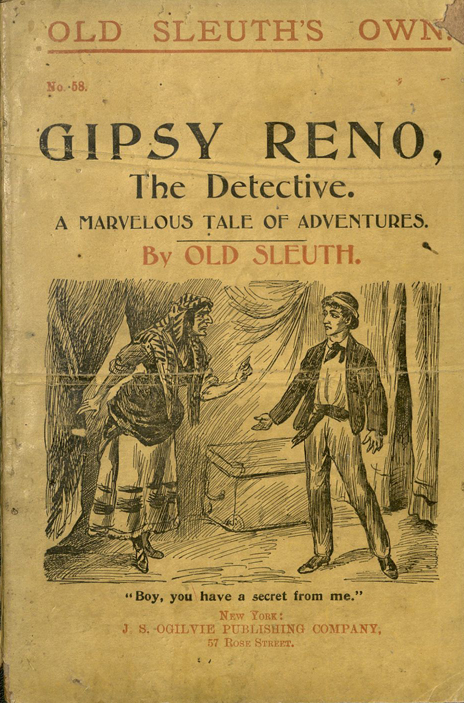 Early Dime Novels often featured adventure stories about detectives, Native Americans, explorers of the American West, and mountain men, whose daring adventures kept readers coming back for more. 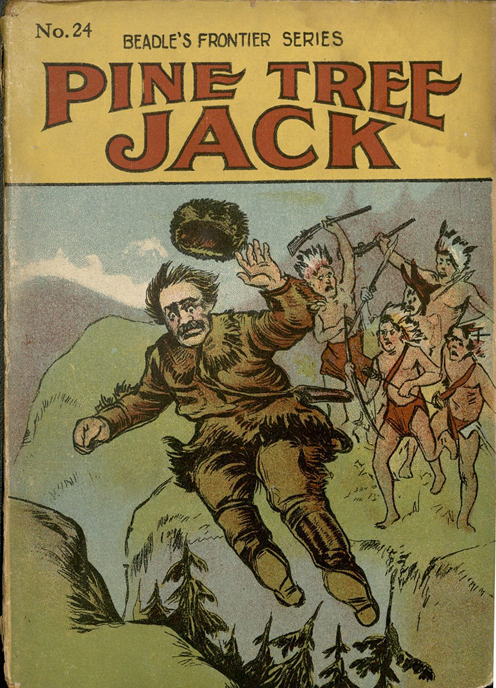 Pluck and Luck was set in a range of historical periods and geographic locales and featured soldiers, engineers, explorers, and trappers among the lead characters. 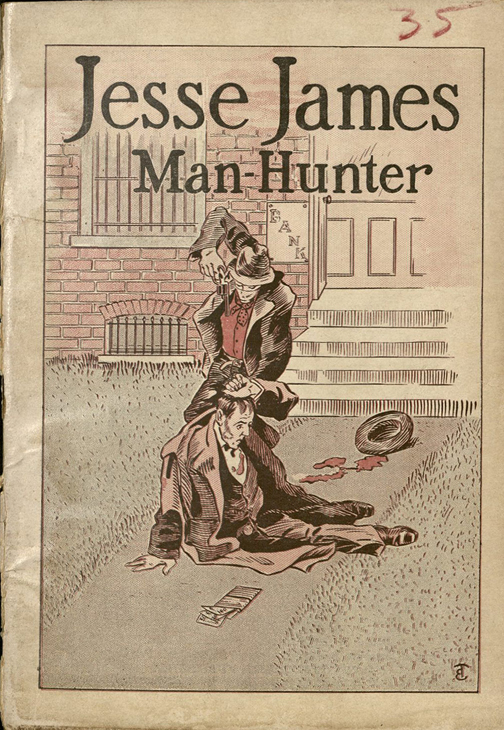 The main character is Jack Wright, an inventor who uses his inventions to chase down criminals. 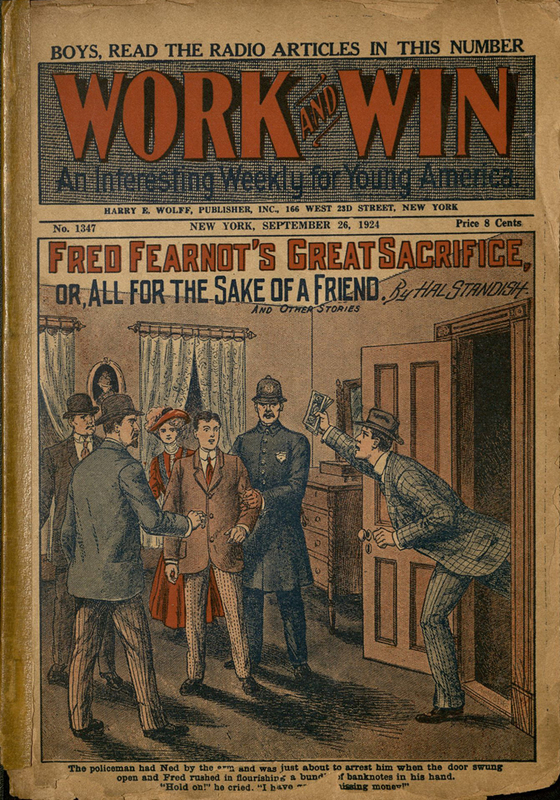 Work and Win was a weekly magazine whose teenaged protagonist, Fred Fearnot, traveled all over the world doing good deeds. 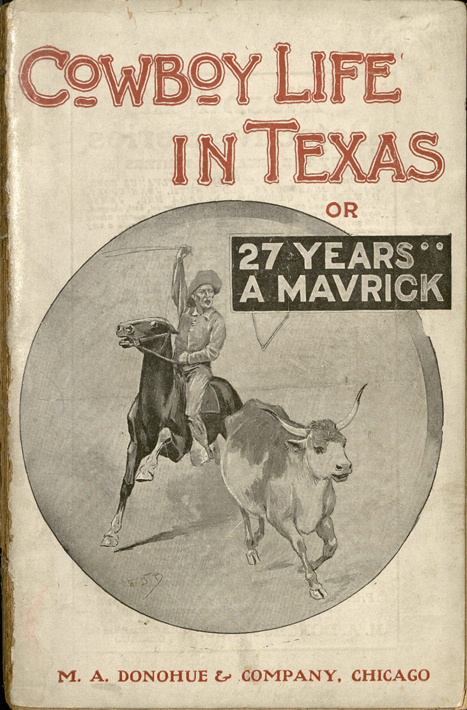 Wild West and pioneer adventure stories, such as Cowboy life in Texas, The Scout Buffalo Bill, Pine Tree Jack, and The Demon Cruiser were immensely popular in the late nineteenth century. 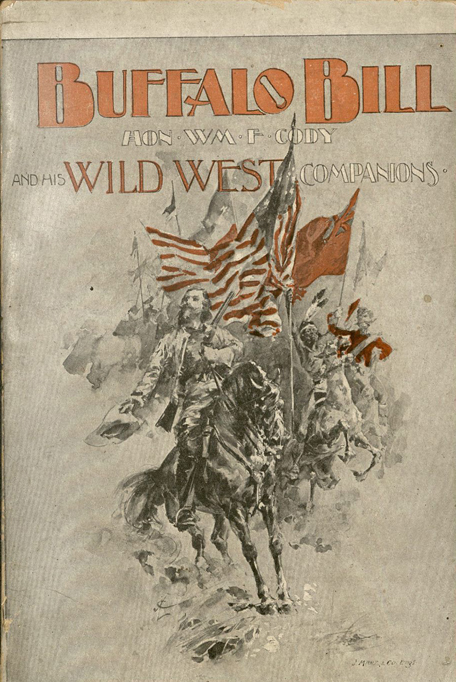 Tales of outlaw bandits or swindlers, some loosely based on real events and people, like Jesse James, Man-Hunter, and stories of mystery and intrigue such as Gipsy Reno, the Detective and Bunco in Arizona were also very popular. 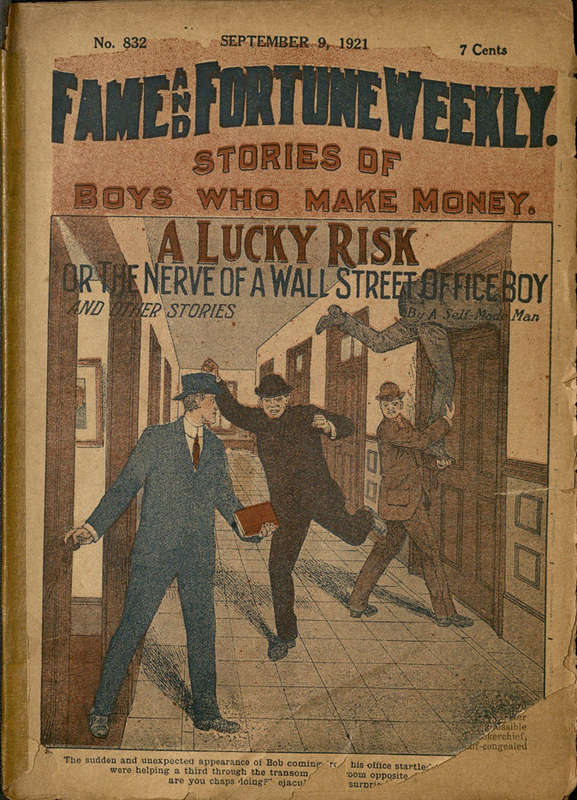 To keep the price of the books at $0.10, publishers of dime novels used inexpensive materials to produce them. 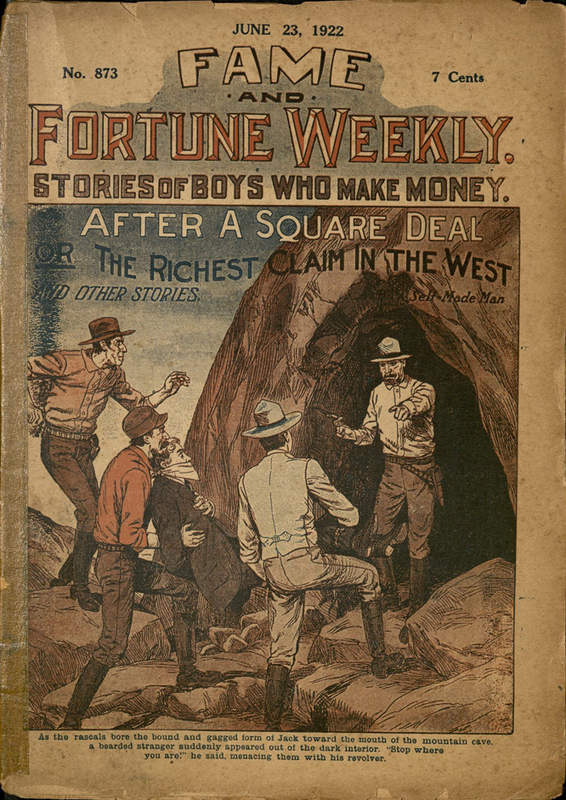 By the 1890s many dime novels were printed on highly-acidic wood pulp paper, most commonly used today for newspapers. 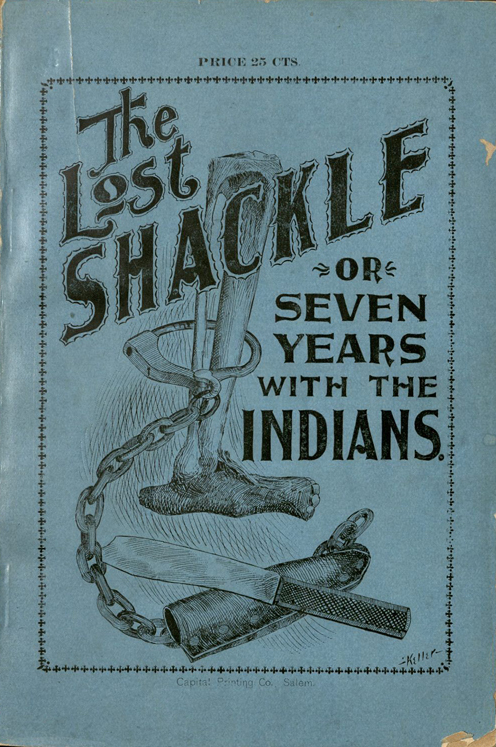 While the books are still intact, most have very brittle pages, likely to crumble or tear as they are turned. 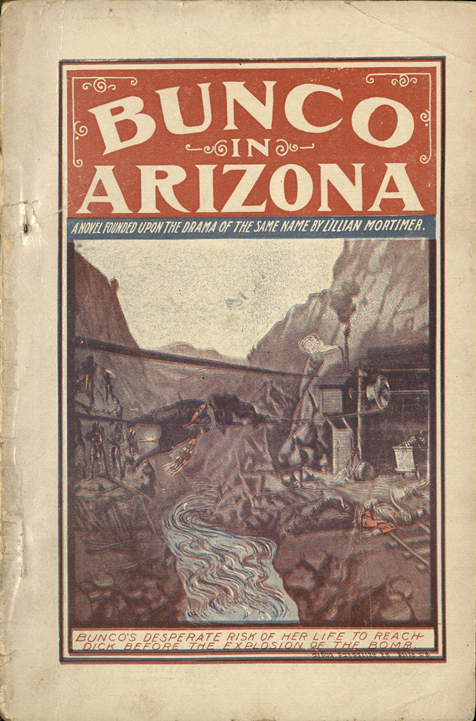 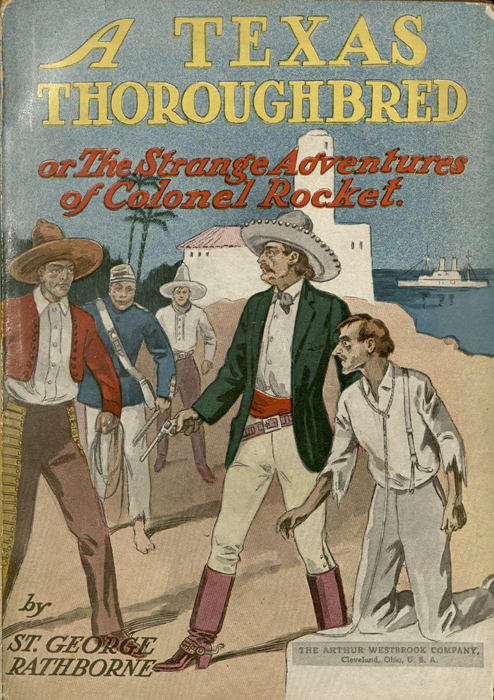 Though some of the books are fragile, the Oviatt Library’s Dime Novel Collection consists of over 150 titles, all available for use in Special Collections and Archives.